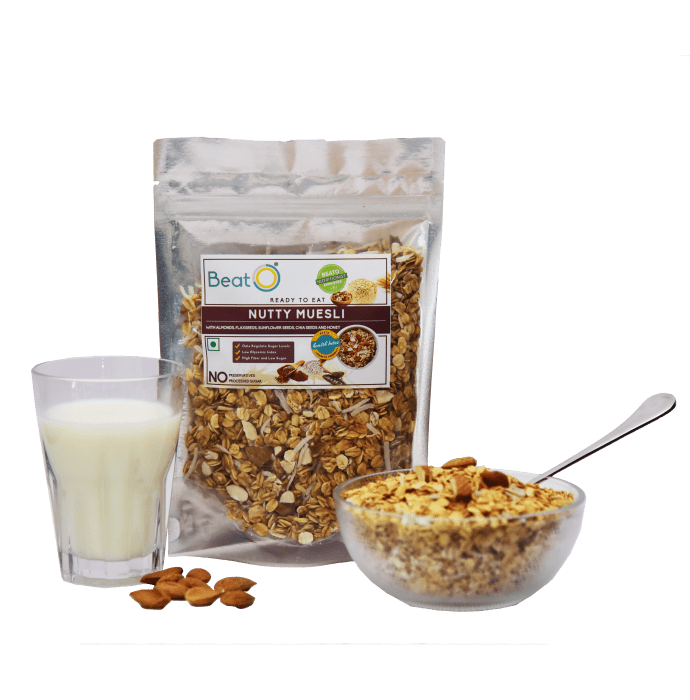 BeatO Nutty Muesli is a high fibre and low sugar cereal mix. It is ideal for diabetic patients as it helps in regulating blood sugar levels. This nutty flavour has the goodness of roasted almonds and a variety of seeds which are rich in fibre with a light hint of honey. It is rich in unsaturated fats which contributes to the good cholesterol.